In this lesson, entitled “Complex Numbers: Part Imaginary, but Really Simple,” Professor Strang introduces complex numbers in his inimitably crystal clear style. 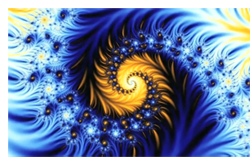 The class can go from no exposure to complex numbers, all the way to Euler’s famous formula and even to the Mandelbrot set, all in one lesson that is likely to require two 50-minute class sessions. Complex numbers have the form x + iy with a "real part" x and an "imaginary part" y and that famous imaginary number i, where i is the unreal square root of -1. Professor Strang shows that we should not worry about i, just work with the rule i^2 = -1. The lesson sets the foundation for the students to move further in their understanding and working with complex numbers. Watch it here. Would you dip your finger into a pot of boiling gamat oil? The aim of this lesson is to introduce the concepts of heat and temperature, which many students find confusing. During the lesson, students will be asked to explore and discuss situations where even though the same amount of heat is absorbed by several substances, the increase in temperature of the substances is different. This video lesson presents a series of stories relating to heat and temperature, beginning with a visit to a factory on the island of Langkawi in Malaysia where gamat oil is produced. The lesson was developed by two high school teachers, Mohd Zaid Ismail and Mohd Suhaimi Mohd Ghazali, from the Hulu Terengganu Science School in Kuala Berang, Malaysia. Watch it here. 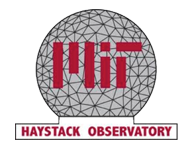 Since 1999, teachers in the National Science Foundation’s Research Experience for Teachers program at Haystack have been creating hands-on, inquiry-based educational materials based on their summer projects. These materials are tested in the classroom and revised before being distributed. Units focus on such subjects as black holes, climate change, information content, astrochemistry, space weather, radio frequency interference, and the use of the Haystack Very Small Radio Telescope (VSRT) and the Mesospheric Ozone System for Atmospheric Investigations in the Classroom (MOSAIC) in their schools. Visit the Haystack web site. Did you know that BLOSSOMS has lessons from introductory computer programming to topics such as counting algorithms and experiential recursive thinking? Learn more here. BLOSSOMS teacher, Naomi Volain, has been named one of ten finalists in the Global Teacher Prize. Naomi will travel to Dubai to attend the Global Education and Skills Forum where the winner will be announced on March 16th. Read more about Naomi here. Watch the lesson, “The Pythagorean Theorem: Geometry’s Most Elegant Theorem,” here. The mission of the Young Mind Awards is to inspire youth at the Middle and High School levels, as well as students at the undergraduate level, to pursue their passion and bring forth Design Engineering and Research and Development as desirable education and career options for scholars. Whether your students are working individually or as a team, their project is eligible to compete in one of five Young Mind Awards innovation categories. 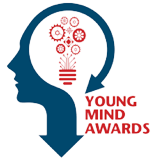 Visit the Young Mind Awards website to learn more. Entries are due May 31.